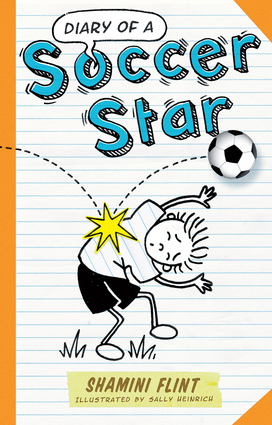 In illustrated diary format, the hilarious tale of a boy who is a soccer star—not!Marcus is a math whiz who is not good at sports. But his dad, a self-help author, is convinced otherwise. He believes that Marcus can achieve anything he sets his mind to—with hilarious results. Marcus's gentle, satiric humor and comic drawings will have readers laughing out loud while learning a surprising amount about soccer. Shamini Flint has written many books for children but is best known for her Inspector Singh Investigates series of crime fiction for adults. She and Sally Heinrich collaborated previously on A T-Rex Ate My Homework.